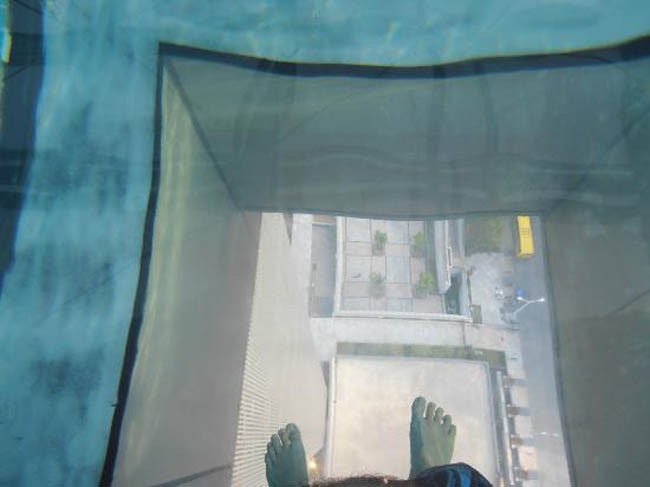 Jutting out from the 24th floor of the Holiday Inn Shanghai Pudong Kangqiao Hotel is a cantilevered windowed cube containing a glass-bottomed swimming pool. 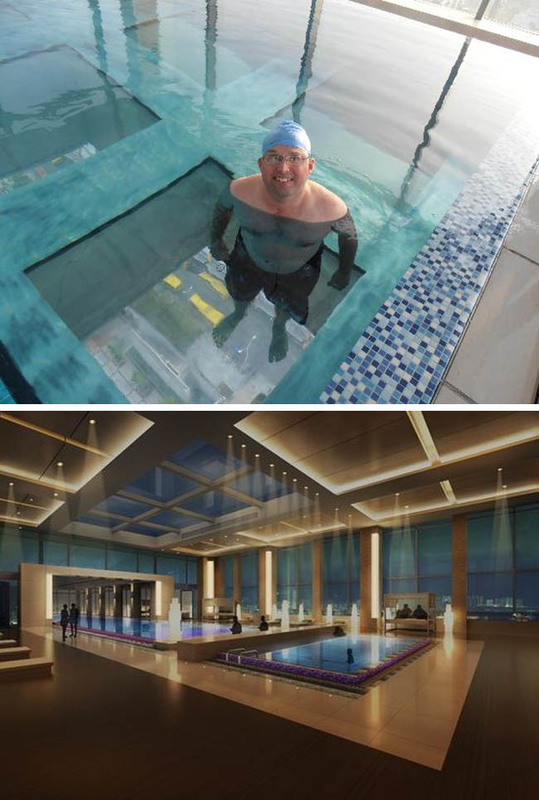 This very cool pool was designed, along with the rest of the hotel interior, by Singapore based architects Chan Sau Yan Associates. 30 meters long and 6 meters wide the pool offers views on three sides of its enclosure, plus above and below. 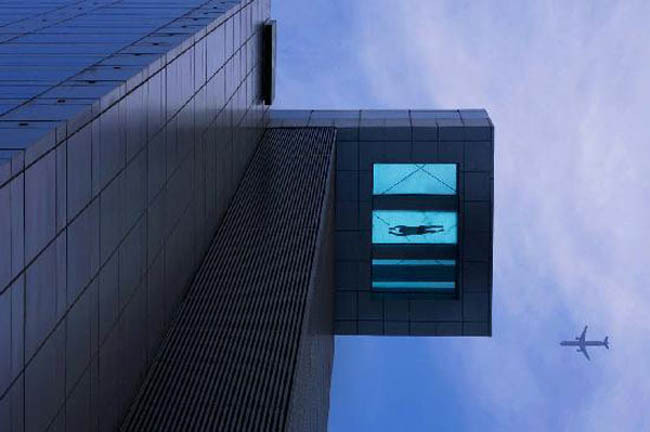 It’s hard to decide what is more striking: to witness someone swimming above from the ground, or to be the person swimming looking down at the ground. This is very cool place. I will definitely visit here.